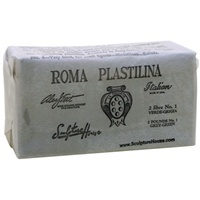 Roma Plastilina is the clay used for the Academy of Art University Ecorche program. This is a total of 35lbs. The Ecorche Kit comes with one 33 inch resin cast Ecorche model, and complete Armature parts set. The Armature set has all hardware and wire necessary for the Academy of Art University Ecorche FASCU 270, or Masters Ecorche FASCU 632 class. The Ecorche Figure is a 33 inch resin cast Ecorche model. 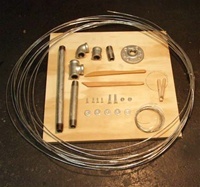 The Armature set has all hardware and wire necessary for the Academy of Art University Ecorche FASCU 270, or Masters Ecorche FASCU 632 class.